After landslide victory of Bharatiya Janata Party in Uttarakhand and UP, there had been many conjectures about who would become the next CM of the states. The wait ends for people of Uttarakhand as the party high command has announced the name of Trivendra Sing Rawat, who will be sworn in as the Chief Minister of hill state of Uttarakhand. MLAs of the party selected Rawat as the legislature party leader of BJP. This selection took place on Friday, 17th March, 2017. Tomorrow, that is Saturday, the newly appointed legislature party leader will be sworn in as CM of the state in the oath-taking ceremony. Aged 57, Rawat won the assembly elections from Doiwala constituency with a whopping 24,000 votes’ margin and defeated Hira Singh Bisht – the face of ailing Congress Party. This isn’t Rawat’s first win. In fact, since 2002, he has won 3 times (including this win). It is no hidden fact that Trivendra Singh Rawat has strong roots in RSS or Rashtriya Swayamsevak Sangh. Starting 1983 till year 2002, Rawat held several important positions in RSS and was also a pracharak or preacher. It is these strong RSS roots that put Rawat as one of the leading contenders of the post of CM for Uttarakhand. Education: While not much is known about his education, it is a known fact that he holds a master’s degree in History and grabbed a diploma degree in Journalism. According to the affidavit submitted by him, he completed his education from Hemwati Nandan Bahuguna Garhwal University. High Connections: It is an open secret that Rawat has very close connections with Amit Shah – chief of BJP as well as with central leadership of BJP. 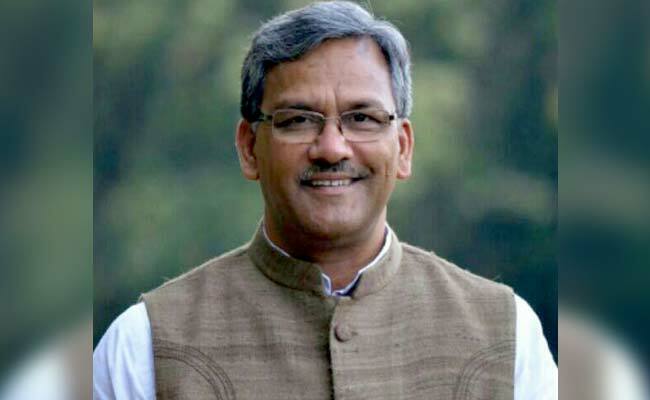 Jharkhand Connection: While Trivendra Singh Rawat Chief Minister-designate for Uttarakhand, he is also placed as in-charge of the Jharkhand Unit of BJP. He managed to sail the party into a victorious entity in Jharkhand. Uttar Pradesh Connection: Rawat had worked very closely with Amit Shah during the Lok Sabha elections of 2014 in Uttar Pradesh. Rawat was election in-charge for the region and along with Shah, Rawat managed to help BJP emerge victorious there as well. Multiple Wins: Rawat won from Doiwala constituency in 2002 legislative assembly elections. In 2007, he won again and became the Agriculture Minister of the state. This 2017 Assembly election became his third win from the same constituency. Scam Involvement: Reports surfaced that Rawat was involved in what is known as “Seed Scam” when he was the Agriculture Minister for Uttarakhand. However, according to Rawat, it was Congress who tried to defame him but Congress failed to prove the allegations. Now, he wants to drag the perpetrators to court for defamation attempts. Criminal Charges: There are no criminal charges against Rawat. However, this information actually comes from the affidavit that he has provided. Property or Asset: According to the same affidavit, Rawat currently holds or possesses property that is worth INR 1 crore plus. That’s pretty much all the information that is currently available about Trivendra Singh Rawat. We will update more information as and when we find the same. Conclusion: Considering that the current leaders of BJP at both state and central levels don’t have criminal records or involvement in scam, it can be safely assumed that Trivendra Singh Rawat has been selected after a thorough background check. After all, BJP will not want its image tarnished like that of Congress, especially when the whole nation and the world is looking at India’s central government as a model government. What do you think?